Many colleges in Virginia have a culture that defines them. With Virginia Tech, for example, football comes to mind. With University of Virginia, the basketball team is the No. 1 seed in the nation. 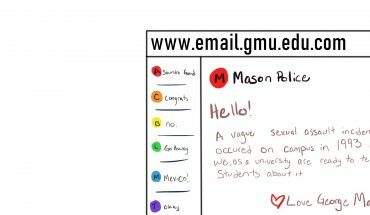 However, Mason has a lot more to offer than sports. Established as an independent institution in 1979, Mason is a relatively young university and is constantly changing. Whenever you walk around campus, you will find new buildings being built. This is one of the hallmarks of Mason. 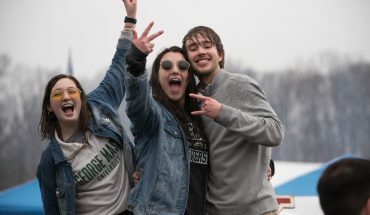 The idea of constantly redefining and bettering yourself exists not only in Mason’s buildings and hallways, but also in the people who attend it. This is something that Ahmed Kamel, a senior, felt defined Mason. “Professors are always trying to push you to learn new things and be the best version of yourself,” he said. As an engineering student, he found that there are many opportunities offered for every major, and students are always encouraged to study abroad, apply for internships or join a research project. To Kamel, being a Mason Patriot means striving to achieve your full potential. Another thing that many people feel sets Mason apart is its diversity. 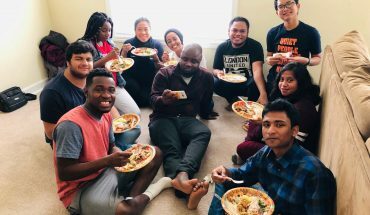 This is no surprise given that Mason has been ranked the most diverse college in Virginia, with students from more than 130 countries and all cultural and religious backgrounds. Rustem Boura, a junior, has also said that Mason’s diversity is one of the important things that define it. To him, being a part of a diverse school is important because he never feels alone. Having a diverse student body has made people accept each other’s’ different identities. For example, Rustem says that whenever he chooses to wear anything that people aren’t used to seeing, no one interferes. Patriot’s Pride, or Lack Thereof?